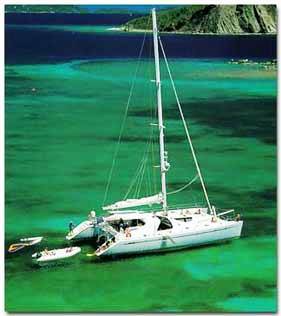 Angel Glow is a luxury Jeantot Privelege catamaran built in 1994 and has since been refitted. 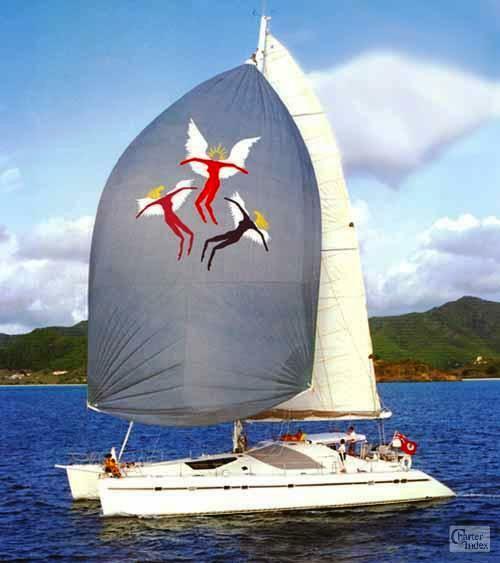 Catamaran Angel Glow is based in the Caribbean year round and offers her guests the utmost in comfort, service and water sports options. Angel Glow has over 2200 square feet of deck space complete with three large cushioned lounging areas and two trampolines providing plenty of sunny relaxation areas. Her two-person hammock is ideal for watching the world go by. 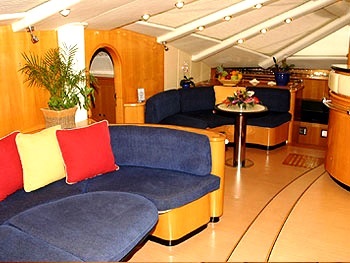 Angel Glow also has an expansive covered cockpit seating up to ten guests during the day and at night, the Bimini can be rolled away for dinning under the twinkling stars. Angel Glow’s main salon contains a full bar and two seating areas, including a large circular settee for lounging and video/DVD viewing. Angel Glow has dual swim ladders and freshwater showers at each transom which is ideal for easy access getting both in and out of the water. 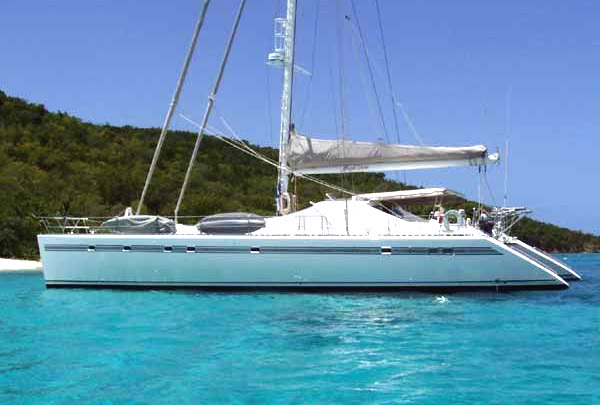 Angel Glow sails an average of 8 to 10 knots with no heeling. 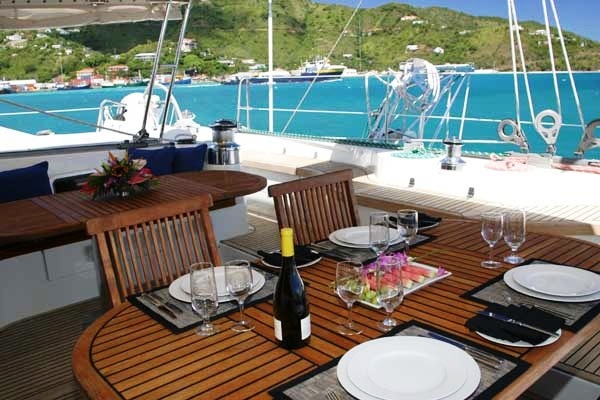 She points as well as any cruising monohull and her crew of 4 are ready to welcome you onboard for your next Caribbean sailing adventure! 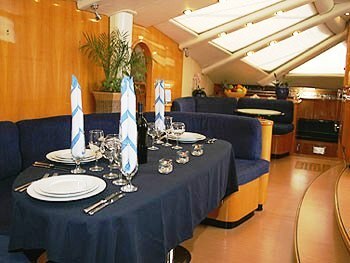 Luxury Catamaran ANGEL GLOW can accommodate 10 guests in 5 cabins each positioned in its own private section of the yacht. 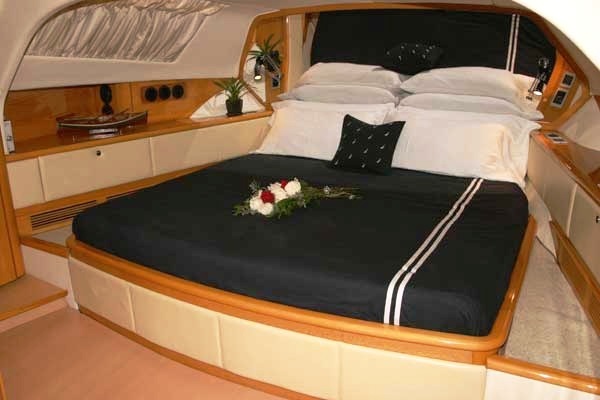 Her master cabin has a king size bed, shower and head. 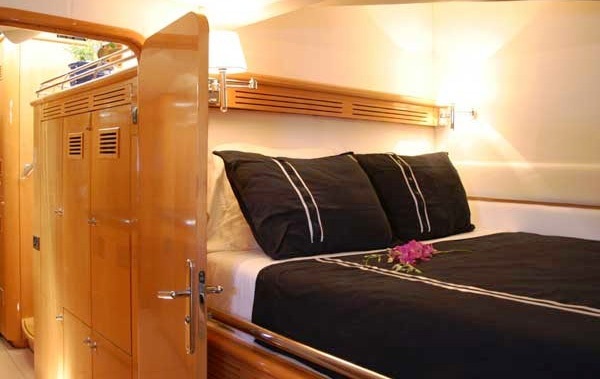 Another 4 cabins have a queen size beds, a shower and a head. (Freshwater flushing head, vanity with mirror and separate stall shower.) 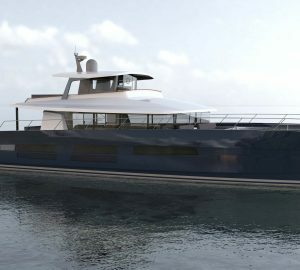 Each cabin has opening hatches, closet and locker space, a writing desk, individual air conditioning and stereo speaker controls. ANGEL GLOW is fully air conditioned throughout and the voltage onboard is 220/110V volts. 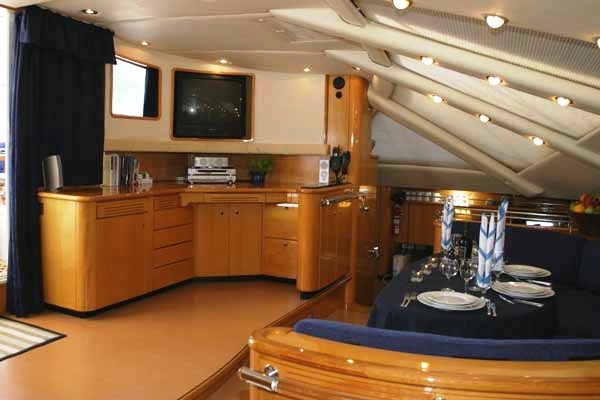 ANGEL GLOW´s crew has a separate companionway, heads and shower. 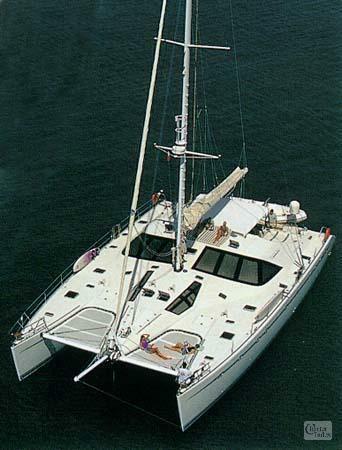 Catamaran Angel Glow has a wide range of Tenders & Toys including a 16' Nautica w/90hp, water skis, 2 windsurfers, fishing gear, snorkel equipment, 8 scuba tanks, 5 regulators, 10 BC's, 2 compressors, underwater camera along with night dive paraphernalia.. 2 sets of water ski's, one is smaller for kids. She also has a new wake board with small/med/large boots. A modern 'tube' that can take two kids, 2 single kayaks, and 1 double, 1 beginner/intermediate, and 1 advanced windsurf board, with new suit of 6 sails and carbon masts, booms and all the harnesses, gloves, booties etc. She has too much snorkel gear to count. On deck she has 4 double deck sun mattresses, board and beach games, and safety netting available for kids, Floating sun mats. She has a new home entertainment centre with surround sound. 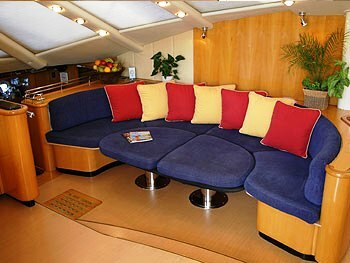 Each cabin has flat screen DVD/CD player. 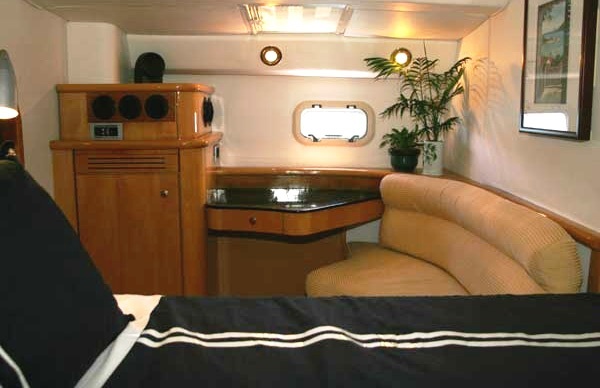 Her Communications include a Cellular phone, Fax, Email and she has a Stereo cassette, CD player, speakers in cabin and cockpit, TV, VCR, Library (video, audio and CD). 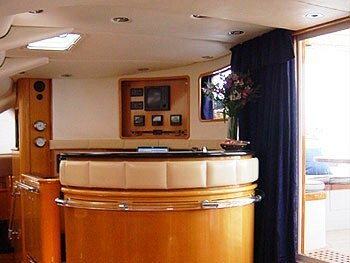 On deck: dodger, shower, swim platform, cockpit cushions and table, dining on deck.